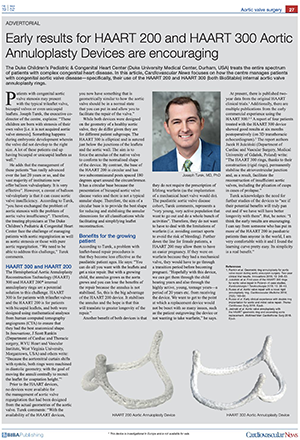 Advertorial article in the Cardiovascular News Issue 52 – Feb 2019. Cardiovascular News is a news source for cardiovascular research and conference updates. Abstract / video posted on the CTSNet.org website. Stavridis GT, Kantidakis G, Kaminiotis VV, Vassili M-I, Rankin JS. 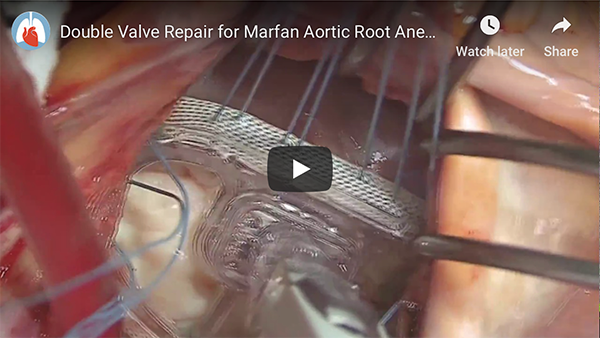 Double Valve Repair for Marfan Aortic Root Aneurysm and Bileaflet (Barlow’s) Mitral Valve. December 2018. doi:10.25373/ctsnet.7390304. CTSNet.org is the most comprehensive, heavily trafficked, and reliable online source of information about cardiothoracic surgery available worldwide, and its online community of cardiothoracic surgeons is the largest in the world. A not-for-profit organization, CTSNet is jointly overseen by The Society of Thoracic Surgeons (STS), the American Association for Thoracic Surgery (AATS), and the European Association for Cardio-thoracic Surgery (EACTS). Video posted on the HeartValveSurgery.com website. 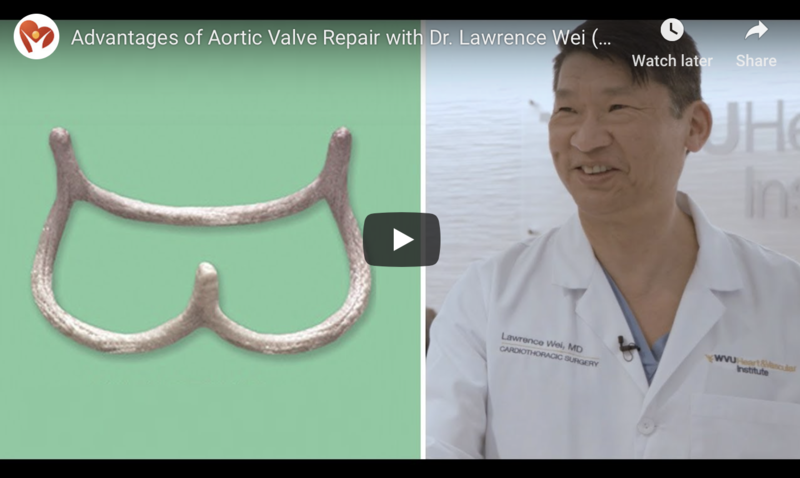 This video shows the advances in aortic valve repair for aortic stenosis, using annuloplasty rings, and aortic regurgitation, using the Ozaki procedure, from Dr Lawrence Wei, cardiac surgeon at WVU Heart & Vascular Institute. 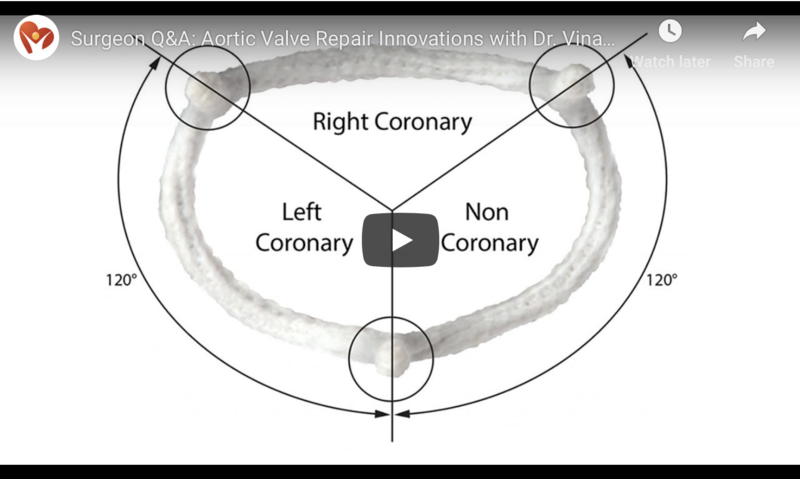 Learn about the newest innovations in aortic valve repair surgery for patients with aortic stenosis and aortic regurgitation from Dr. Vinay Badhwar, cardiac surgeon at West Virginia University Medicine.